Most companies and employees use email as their primary form of communication. With that being said, it is imperative that your emails are as professional and as effective as possible. 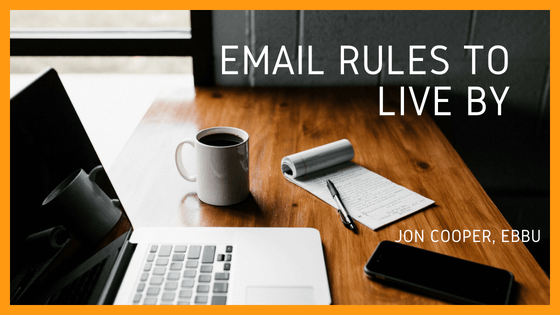 What are some rules to live by when it comes to your emails? Always use a signature, compose a draft email before sending and get rid of any unnecessary attachments. Every single email that goes out from your company should contain a signature. What should be in that signature? The sender’s name, title and phone number. What are some things that should not be in the signature? Your email address does not need to be in the signature. If someone is receiving an email from you, they have your email address. Also, leave out religious messages and inspirational sayings. It is considered unprofessional and can detract from your message. In the business world, it is inevitable that you will receive an email that will rub you the wrong way. While it can be very tempting to send off an angry response within seconds of finishing the email, try drafting your response first. Then save the draft and give it twelve hours and go back to it. Nine times out of ten, you’ll find yourself not sending that angry reply. This is important when responding to anyone but especially if you are dealing with a paying customer. In an email, logos in your signature appear as attachments. This means that the receiver of your email is wasting time trying to see if there’s something to open. Also, sending text as an attachment when it could have been included in the body of the email, increases the amount of time it takes to read. Lose any unnecessary attachments you may have on your emails and only attach something if you expect the person you’re sending it to to open it. Although some pundits may argue that email is dead, it is alive and well in most companies. Therefore, it is imperative that employees understand the importance of a well written email, and which rules to follow when it comes to email etiquette!